In Malaysia we have our celebrity chef an Accountant by qualification, the famous Chef Wan. And I too have a special friend Wan, also an Accountant by profession who is as passionate in cooking and shares her special interest blogging on food - Cooking Varieties. What makes CookingVarieties exciting is that Wan invites guest bloggers from all over the world to contribute and share their interest in food; recipes, food ideas, tips, suggestions, health benefits and food jokes etc. In one of her recent posting on Pancakes we get to learn of the varieties of pancakes enjoyed by different communities around the world. I have no talent in cooking. Years of being away from home I had no opportunity to learn to cook from my late mum. When I was home she would rather I not enter her kitchen – I only mess things up for her. Even at this age I am struggling, left to cook on my own, I am simply lost. I still need to depend on cookbooks, surf the net for food blogs and attend cooking lessons - yes, learn how to cook from scratch. Chef Dato Dr Rosli (Chef Li) inspired me the most; his easy simple ways make cooking bearable and fun. I attended many of his classes – tricks, shortcuts and tips from him are priceless. 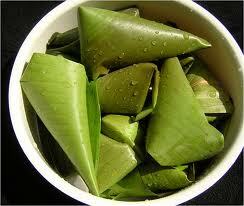 In one traditional menu “Nasi Lemak” session, within just few hours we can come up with as many as 25 dishes! Fantastic - learning about his simple paste system, will save us so much time in the kitchen. And you get to learn of the little secret ingredients/herbs used, for instance to prepare the famous Hainanese Chicken Rice. You may try as hard but if just one special ingredient is not added, you may not get the original taste right. Anyway Chef Li offers a wide selection of menus to choose from - traditional dishes, Chinese, Thai, Western, baking, ice-creams, drinks and also how to process noodles, yoghurt, bean curds etc. He is also the author of motivational books such as “Jutawan Senyap”, the Silent Millionaire, where he encourages others to venture into simple food related business as means to earn a living. Kenapa agaknya yg pandai masak kat rumah adalah wanita. Tapi bila di hotel, restoran dan jadi famous chef ramai sangat jantan? Ini suatu misteri nusantara utk pakcik. Sila jawab maam. I attended many classes - suka peghati org masak, bukan belajar masak sangat. What I noticed was, besides the god given talent and gift in cooking, interest and passion are important too. Cooking for restaurant etc in my opinion is a profession by itself, if you watch Hells Kitchen; see how Chef Ramsey picks his winners - not that simple eh to manage? Kat Kampung saya kalau kenduri masak ramai2, semua chef pun lelaki, ladies (macam geng2 saya ni) asyik duk kena kopek berguni2 bawang, kentang aje!